Celebrity Solstice which is one of Celebrity Cruises largest ships and the first in its class is to get a major 8.5 Million-Dollar upgrade. The major refurbishment will take place in Singapore from October 22, 2016 and will emerge all fresh and new on October 31, 2016. In that short time the vessel will be amazingly upgraded with new features and improvements. During the dry dock the ship will add an all new dining venue called “Sushi on Five”. The venue will be have an a la carte menu brought by sushi chef Toshikazu “Yoshi” Okada. This new restaurant will replace what was once Bistro on Five. A large movie screen will be added to the Lawn Club and this new feature and experience will be called “A Taste of Film”. The Lawn Club will become a great place where guests can enjoy in the comfort of film and hosted culinary experiences. There will be all kinds of improvements all over the ship including a new modern touch to suites and an upgraded Photo Gallery. Usually during dry docks many parts of the ship will get new carpeting, paint and decor. 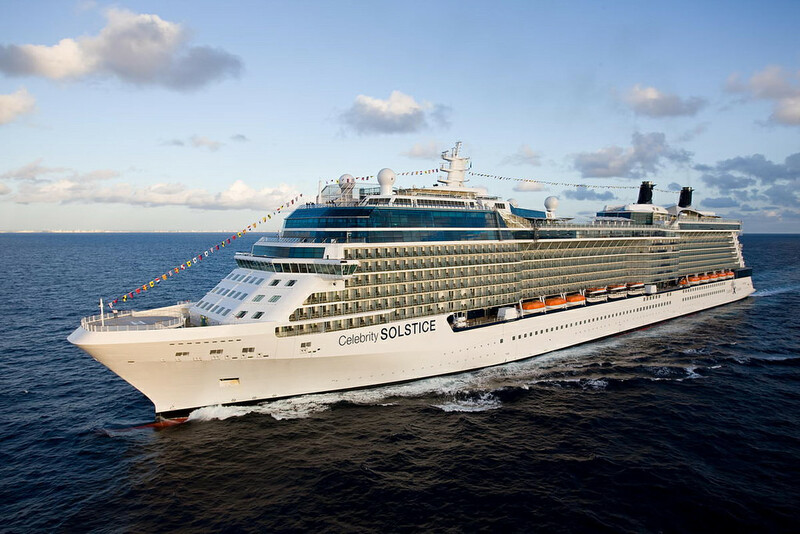 One complete the Celebrity Solstice will commence the summer cruises in Australia including calls at New Zealand and Indonesia.